A reminder that all schools within Coast Mountains School District 82 and the Board of Education Office will be closed on Good Friday, April 19 and Easter Monday, April 22. All schools will be back in session on Tuesday, April 23 as regularly scheduled. 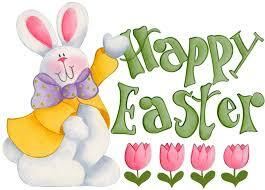 Wishing all our students and staff a safe and happy Easter long weekend! The attached newsletter regarding the BC Government’s Measles Immunization Catch-Up Program for School-Aged Children went home with students on April 4, 2019. The Board of Education further recognizes the importance of breaking down barriers and ensuring all students are provided skills and opportunities to achieve success. The school district continues its focus on Indigenous cultural and traditional learnings including enhancing Indigenous languages for our learners. Currently Indigenous language learning in Coast Mountains School District includes mentorship and collaboration with Dr. Lorna Williams, University of Victoria Professor Emerita of Indigenous Education (Curriculum and Instruction) and recipient of the Indspire Award that represents the highest honour the Indigenous community bestows upon its own people. Coast Mountains School District 82 is located in the northwest of British Columbia and includes the main communities of the Hazeltons, Kitimat, Kitwanga, Stewart, Terrace and Thornhill serving a student population of approximately 4,300 students. The school district is located on the traditional territories of three Indigenous Nations: the Gitksan, the Haisla, and the Tsimshian. The Gitksan‐Wet’suwet’en Nation of the Hazelton area is made up of seven First Nations communities consisting of Gitanmaax, Gitanyow, Gitsegukla, Gitwangak, Glen Vowell, Hagwilget and Kispiox located through the Hazelton communities and the Kispiox Valley. The Haisla Nation is centered in the Kitamaat Village and the Tsimshian Nation has two distinct First Nations communities, the Kitselas and Kitsumkalum, in the Terrace and Thornhill areas. The Board of Education for Coast Mountains School District recognizes Section 35 of the Canadian Constitution which defines the rights of Indigenous peoples of Canada. The Board of Education reinforces its commitment to work in partnership with Indigenous communities in support of the Calls to Action from the Truth and Reconciliation Report. It further commits to working in partnership with the First Nations to affirm Indigenous voice in decision making in accordance to the implementation of the BC Tripartite Education Agreement: Supporting First Nation Student Success. Further, the Board of Education recognizes its responsibility to ensure ongoing public dialogue and actions to support the United Nations Declaration on the Rights of Indigenous Peoples. As a public institution, the Board of Education for Coast Mountains School District recognizes the responsibility of all its employees and Canadian citizens to work with Indigenous peoples to ensure we achieve reconciliation by honouring the truth of Indigenous peoples’ historical and current experiences in Canada. The Board of Education is committed to learning from all First Nations it serves to continue enhancing the curriculum in our schools with local Indigenous history, language and culture. The importance of our partnerships is greatly valued and the ongoing collaborative work to elevate success levels for Indigenous learners in our schools. Report cards will be sent home with students on Tuesday, March 12th. Early Dismissal days are on Wednesday, March 13th and Thursday, March 14th. We will dismiss one our early, at approximately 2:11 pm. All buses will run one hour earlier than normal at the end of the day. Please click on the link below to view Skeena Middle School’s Code of Conduct for Students. Skeena Middle School, along with our other schools in the Coast Mountains School District, will dismiss one hour earlier on Wednesday, November 28 and Thursday, November 29, 2018. Skeena Middle School will dismiss at 2:11pm. Buses will pick students up after school one hour earlier as well. Please contact our school if you have any questions. Our first set of report cards will be sent home with students on Tuesday, November 27, 2018. Parent/Teacher interviews will take place on Wednesday, November 28, 2018 from 5:30 pm – 7:30 pm. Coast Mountains’ schools and the Board of Education Office will be closed on Monday, November 12, 2018 in observance of Remembrance Day, and will re-open as regularly scheduled on Tuesday, November 13. 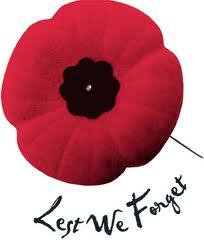 Remembrance Day assemblies will be held throughout our school district on Friday, November 9. We are now taking pre-orders for the 2018-2019 Skeena Middle School Yearbook! To ensure that we have a sufficient quantity printed, we are asking families to pre-order their yearbook(s). Don’t miss out on this great price of $20.00 per yearbook! Reserve your copy today! All pre-orders are due to the office by December 1st, 2018. Please click on the attachment to print a copy of the order form. One order form per child.